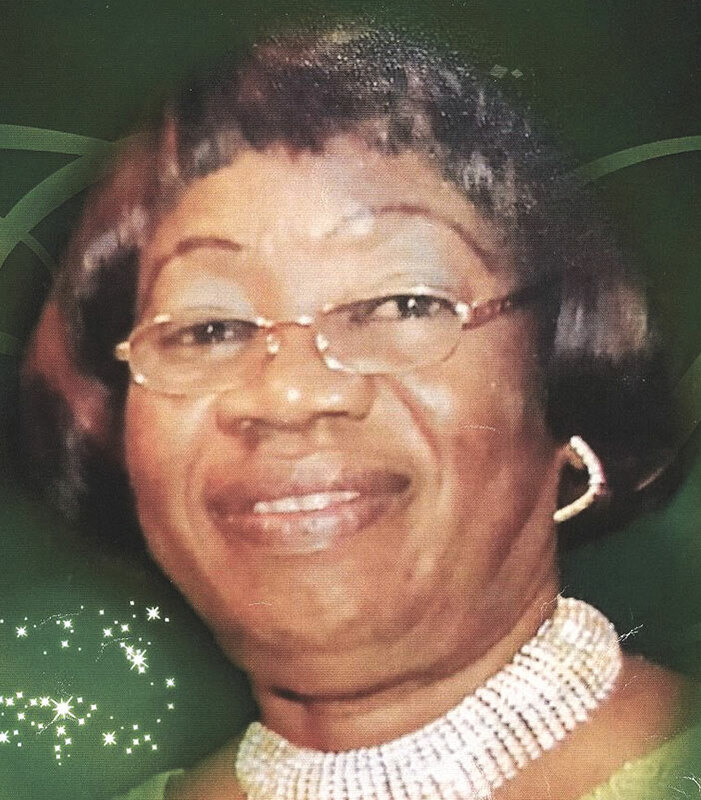 A large congregation gathered at the New Life Baptist Church on 1 September to bid farewell to the greatly esteemed Mrs. Ethlyn Augusta Burke who died on 1 August 2018. The late Mrs. Burke was born on 16 November, 1950 in Little Bay, which is located close to Brewers Bay. She was the first daughter of the late Caroline and Victor Callwood who prior to her arrival had five sons. She obtained her education at the then Cane Garden Bay School and later entered the world of work. She advanced academically by taking distance courses in subjects such typing and shorthand. Mrs. Burke married the late Neville Burke on 16 February 1973. This marriage produced three children – Theodore, Benaiah, and Felecia. Sadly the marriage bliss ended on 24 September, 2016 when Neville departed this life. In the years of marriage Mrs. Burke donned the business hat and she was part owner of the family business Burkes Garage Ltd. The couple expanded beyond the garage to own rental companies Budget and ITGO Car Rentals. She skillfully managed the rental companies. In order to better carry out the tasks associated with her management role Mrs. Burke took courses in computer technology, and excelled in that subject. Her management duties increased after the passing of her husband when she became the general manager of the company. The greatly admired Mrs. Burke is remembered as a friendly person who in her management role exemplified good customer service practice. On a personal level she is remembered for being a person who was into fashion and it was stated that she loved to dress smartly. It was noted that Ethlyn and her husband often stood out as the best dressed couple: in fact, the popular couple did a lot together including wearing matching outfits. Her love for travel was also remembered as it was mentioned that Mrs. Burke travelled to countries such as Japan, the United Kingdom, Canada, the United States and various Caribbean countries. The late Ethlyn Augusta Burke is survived by her children: Felicia, Theodore, and Benaiah Burke; Adopted Son – Sheldon Nelson; Daughters-in-Law: Lelia Burke and Rosemarie Jackson-Burke; Son-in-law: William Green; Granddaughters: Leigha and Kaira Burke; Grandsons: Marlon and Gladston Burke, Nathan Lake, Kaliba and Riley Vanterpool, William Green IV; Sisters: Vivian Dawson, Ivy Walwyn, and Eleanor Callwood-Bachman; Brothers: Alvin “Bapo” Callwood, Noel “Style” Callwood, Dennis “Sleepy” Callwood, Lauriel “Larry” Callwood and Walter Callwood; Sisters-In-Law: – Doreen White, Emelda Burke, Priscilla Burke, Olive Burke, Ione Burke, Sezilee Callwood, Josephine Callwood, Cherel Callwood, Eurina Callwood; Brothers-in-law: Eric Spencer Walwyn, and Peter Bachman. Plus many nieces and nephews too numerous to mention. The publishers, management and staff of The Island Sun newspaper wish to extend the most sincere condolences to the bereaved: Mrs. Burke was an inspiration and a mentor to many; she will be remembered with fondness by the entire BVI for many, many years to come.